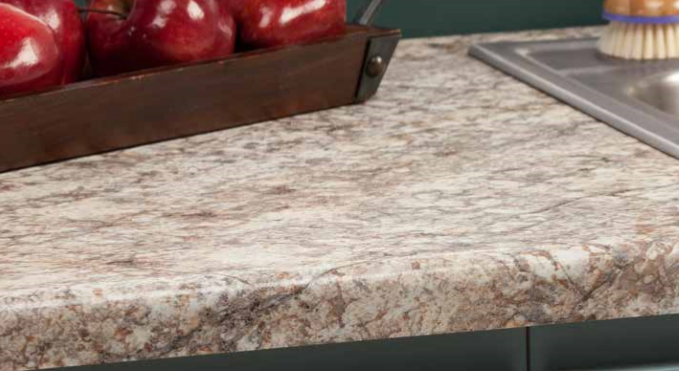 Tempo Edge countertops are special order countertops that take approximately 2 weeks with any Wilsonart or Formica laminate color and can be ordered for kitchens, vanities, single rolls, and bars. This countertop style may have limited availability with select Wilsonart colors for you to pick up and install same day. Call for availability. Standard depth of 25″ with a backsplash. Standard lengths of 8ft., 10ft., 12ft.